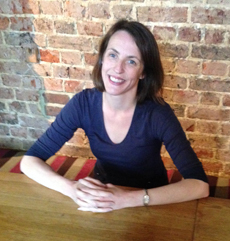 Helen has worked as a Clinical Psychologist in the NHS for the past 15 years. She is a Cognitive Behavioural Therapist (CBT) and Schema Therapist. She is also an accredited teacher/trainer of schema therapy (ST) meaning she can supervise individuals pursuing their own schema therapy training. Helen is currently a Consultant Clinical Psychologist and Clinical Research Fellow based in Brighton and the University of Sussex. Helen has been involved in a number of clinical trials evaluating the effectiveness of CBT in collaboration with the University of Oxford (E.g. http://www.thelancet.com/journals/lanpsy/article/PIIS2215-0366(15)00039-5/fulltext). She has worked in specialist settings for eating disorders, psychosis and personality disorder and with individuals and groups experiencing a wide range of psychological distress. Helen is an experienced clinician offering both short-term assessment and treatment (CBT) and longer term work for more complex concerns (schema therapy). She can provide supervision to individuals or groups in a variety of settings (including forensic settings). 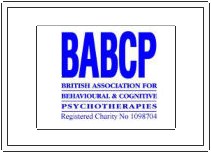 She is a member of the British Psychological Society (BPS) and is accredited with the British Association of Behavioural and Cognitive Psychotherapists (BABCP) as well as having advanced accreditation with the International Society for Schema Therapy (ISST). Prior to qualifying as a clinical psychologist, Helen completed her PhD at the University of Sussex in the area of anxiety and worry. Helen has worked, and continues to work on both small and large scale research projects. Helen has a passion for Psychology maintaining the scientist-practitioner status and has always sustained an involvement in carefully considered research that aims to improve outcomes for people suffering emotional distress. In her clinical practice, Helen works collaboratively with individuals and couples seeking help, aiming to provide a warm and empathic therapeutic relationship.